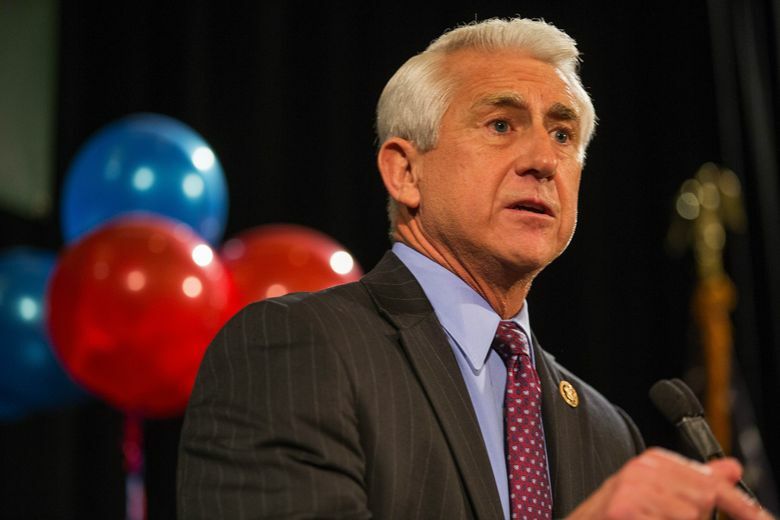 U.S. Rep. Dave Reichert, R-Auburn, is the target of Democratic Congressional Campaign Committee ads over his vote in a House committee supporting the GOP health-care overhaul plan. Reichert later said he was undecided on the legislation. The Auburn Republican voted for the GOP health-care bill in a House committee earlier this month, and now the Democratic Congressional Campaign Committee (DCCC) is targeting him for it. Via ads on social media and YouTube, a leading Democratic election committee is attacking Rep. Dave Reichert, R-Auburn, for his defense earlier this month of House Republicans’ failed health-care overhaul. The Democratic Congressional Campaign Committee (DCCC) launched the digital campaign Monday on sites including Facebook, Twitter and Instagram. The ads against Reichert are part of a broad effort targeting more than a dozen GOP House members who at one point supported the GOP plan for replacing the Affordable Care Act, known as Obamacare. Reichert, who is up for re-election in 2018, voted for the proposal in the House Ways and Means Committee on March 9. Later he switched to “undecided,” citing changes in the health-care bill as it headed to the House floor. The DCCC’s campaign comes three days after GOP leaders withdrew the bill shortly before a House vote, amid expected defeat. A spokesman for the National Republican Congressional Committee (NRCC) accused Democrats of going after Reichert for working to help his constituents. Reichert, a former King County sheriff, has represented Washington’s 8th Congressional District since 2005. He’s been targeted by Democrats before, though he hasn’t faced strong opposition in recent election cycles.